More and more employees are interested in shifting from full-time work to a part-time schedule in order to find work-life balance. Of the 1,000 U.S. full-time and part-time employees surveyed by RecruitiFi, 45 percent reported that work-life balance is their number one priority, above compensation. It is therefore becoming increasingly important for businesses to evaluate the benefits and challenges of offering part-time positions. 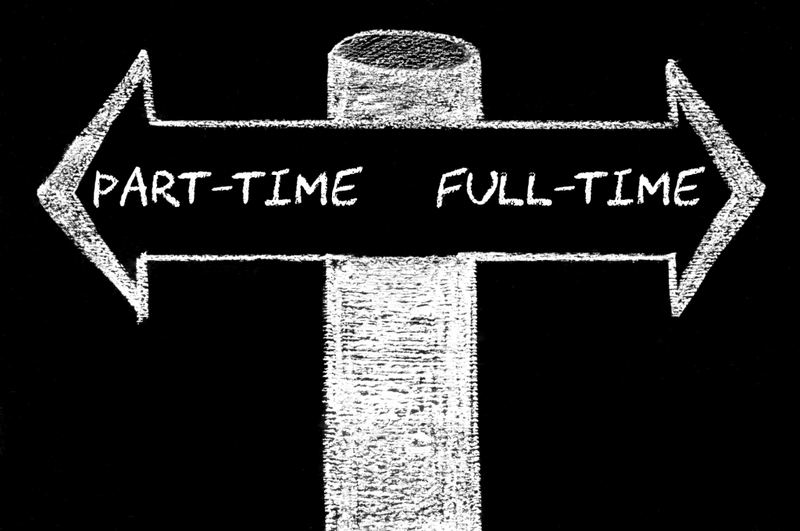 Learn more: Full-Time Workers Increasingly Willing to Work Part-Time. A new study from CompTIA shows that the majority of millennials and gen-x workers prefer to work for companies that offer telecommuting and are willing to negotiate salary around that benefit. On the other hand, more than half of baby boomers are resistant to telecommuting. In order for organizations to recruit and retain millennials, they must embrace and understand technology, social media, and work flexibility. Read more Study: To Retain Millennial Employees, Organizations Must Adpot New Technologies. Have Young Kids? Here’s How You Can Still Be Productive Working From Home. Parents who work from home can achieve a better work-life balance with the help of some simple tactics that ensure both family and career get the proper attention. Designing a schedule that takes into account your business needs is a must, as is learning to delegate and share responsibilities. Check out more tips for working parents who telecommute: Have Young Kids? Here’s How You Can Still Be Productive Working From Home. The Globe and Mail highlights 1MFWF supporter Cali Yost’s research on flexibility. While informal flexibility is becoming more and more common, proper management and training are required to maximize the benefits of flex. Training ensures that both managers and employees understand what flexible work looks like, as well as expectations around deliverables, time management and more. In addition, employees with flexibility need assistance drawing boundaries between work and life. Read more about the importance of effective flex management: Flexibility is great – if your employees are trained for it. Vicki Harrison, a 1MFWF supporter and founder of The Flex Frontier, shares reflections on her first year back at a full-time job as a mom and how the transition has impacted both her and her children. Read more about her personal journey: One Year In: Reflections On My Transition Back to Work.